First of all it’s a Trek, meaning it’s a quality build and light kids bike that should last you forever if maintained properly. Weight is important and kids get tired faster on heavier bikes and if you wish for your kid to get into biking you should think about it. The strength of this MT60 is mostly its overall ride quality combined with the adjustability of its components: The brake levers in particular, are perfectly proportioned and really adjustable for the little hands, something you will not find on cheaper department store bicycles. The pedal crank has 2 possible positions for the pedal and although I never had to use them it is a bonus. The stem offers adjustable angle settings and this was useful when a change in rider size. You can easily dial this bike to fit your child’s size and riding style, or have your shop do it ( they usually offer for free ). The bike handles well and the front suspension is a little plus over the bumps and small rocks. The brakes do a good job too, thanks to the ergonomics of the lever they are easy for the kids to use. The bike pedals well according to my kids and the gears seems well suited for the trails although at that age I recommend staying on the easy stuff. The paint is solid and still shines after 10 years. 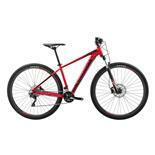 It’s weakness is the same as any 20’´ mountain bike with gears, the shifting. The gripshift system is not ideal but then I have not found a system that really works for hands of that size, If the trail is bumpy you need skills and strength to keep the bike steady and shift at the same time, which most 5 years old do not possess. As kids learn and grow they start getting better at it, just give them time and take them riding often. I took the bike to the shop to clean and adjust the shifter ( got my bike used ), change the cable and tune up the derailleur, I also switch the stock grips with ODI ruffian lock-ons to keep the controls tighter. For my 5 and 6 years old I will put the bike in the middle gear and have them stay there the whole ride, then they slowly learn to shift +/- fast depending on their motor skills. Fat tires and can ride on street and dirt trails. Comfortable size for my 6 year old (soon to be 7). Colo is good for a boy. Changing gears from high to low is too difficult for a 6 year old. The gear changer is poor and detracts from the overall experience. Changing form 3rd to 2nd or 1st is too stiff and next to impossible to get into 1st gear. The bike is a good solid bike for the young rider, but the gear changing mechanism is so difficult from high to low that it makes 1st and 2nd gear pointless. 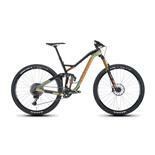 I took the bike back to the retailer Revolution Cycles in Arlington Va, and they said that is normal for this model. Poor design by Trek in my opinion. This detracts from the overall quality of the bike and makes having gears mostly pointless. The fork would stick half way down(they had told me it would loosen up) and require a hard push down by me(father) to get it to come back up. Tried to lube it, etc. . I upon going back to shop, checked another of the same model and seemed to work better, but three choices-back to Trek(we know how that works out),take the other floor model and pay 100$more as I had gotten the other one on sale(2010) 3 months ago, or to the stores credit get my money back. I took the money back and will get her the specialized bike-much better working fork, and lighter by about 2 pounds-my son has the boys version. I feel the store probably should have given me the better working bike(fork) no extra money-maybe Trek should have recalled all these crappy forks-just replace it in the shop-they know well that this is a problem. My two new riders will probably never buy a Trek again. 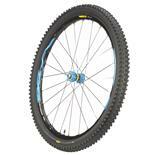 I wish santa cruz made a 20" mtb for kids-I have had my superlight for 12 years. Poor shock, even worse BB. The shock in these may as well be a stiff fork which would keep the weight down a bit. Has held up to the abuse of a 5-6 yr old for one year, barely (at least 4-5 month of snow cover I guess only make the bike 6 m old)! The bottom bracket just froze and mechanic at WR Cyclery said this is pretty standard if the kid "actually uses" the bike due to crappy/cheap ball bearings. COME AGAIN? Had I known Trek uses throw away parts I would've just bought the Specialized kids in this size. Buddy's kids have the Specialized and they have much better shock, better brakes, and appartently better BB. HMMM. Bottom line is buy this only if you don't really want to go mtn biking, guess its more for bike baths and playgrounds. Too bad! Get the kids Specialized if you want a real mtn bike. Well Built. Good components. Nice looking product. Great bike, was able to get a real good deal on a demo for under $100. Daughter loves it and since it's a Trek I know I'll be able to get what I paid for out of it when she out grows it. this bike has taken my son's riding to the next level. the gears have allowed him to climb hills he never could before. i was concerned the shifter and brakes may be hard to handle, but to my son they were a welcome challenge. the bike is a little heavy (for a barely 6 y-old) but, overall i am as happy with the bike as my son is - "dad, i love to ride my new bike." I bought this bike for my 6 year old son and he loves it. He is always wanting to go riding. It is amazing what gears will do for these little guys on hills and rough terrain. 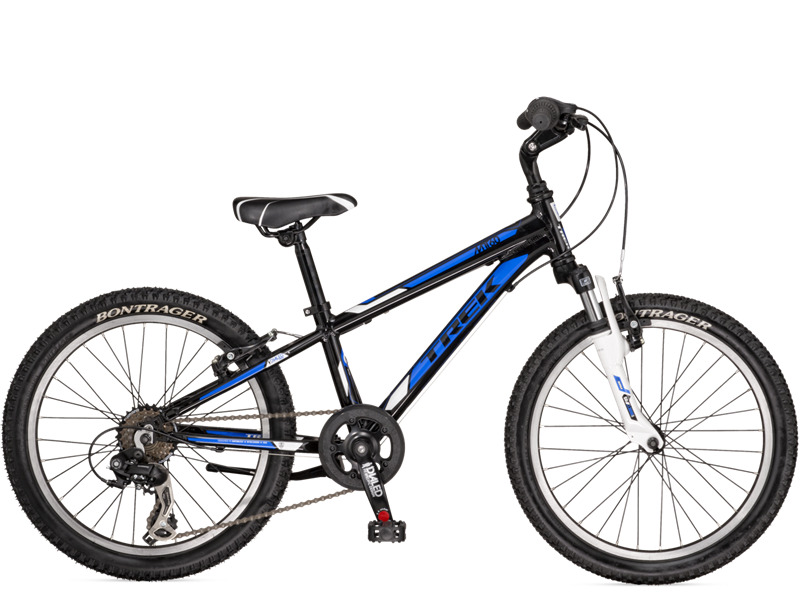 I have been looking for Mtn bikes for my 5 year old twin boys since he got his, and I think the Trek is best that I have seen. I have looked at almost all the different brands. 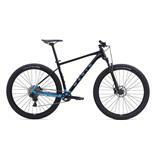 The Giant MTX 125 is really nice too but I like the looks of the Trek better. The Giant looks like a BMX bike. Brake components...Had to replace with XT's after they broke. Great all around kids bike worth the extra dollars for my 7 year old...went to Jiminy Peak downhilling and the bike held up perfectly. Great components (except for front fork) and a great ride (again, except for the front fork). Easy to use gears for my 6 yr old as he learns the basics of riding with gears vs. BMX style bikes. I am VERY disappointed in the front fork. My son is not a rider who has "substantial hits" and yet the fork bottoms out a lot going over speed bumps, off curbs, etc. 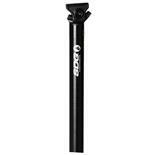 Trek has given my bike shop a replacement fork and the same problem continues from day one. This appears to be a defect to me and feel Trek should provide a better solution. Overall, my son loves this bike, except for the fork. I would rate this bike the highest possible rating if it wasn't for the front fork.